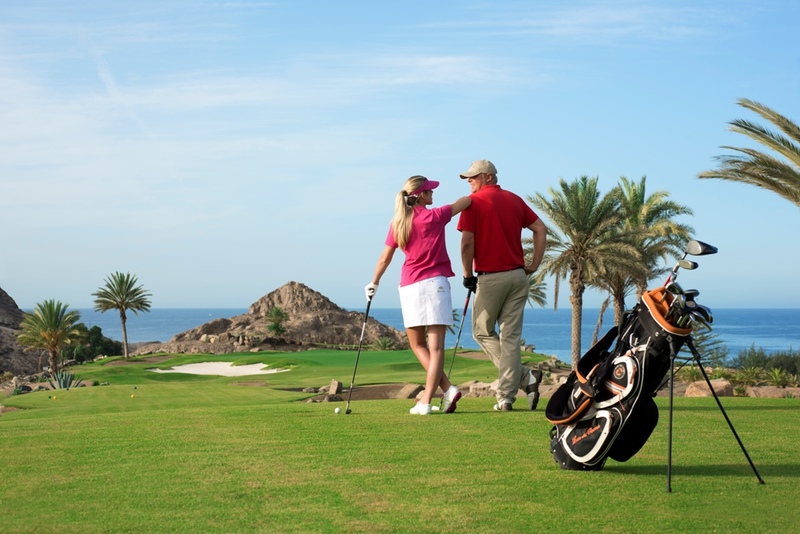 Men moved mountains for me to play the Anfi Tauro golf course. 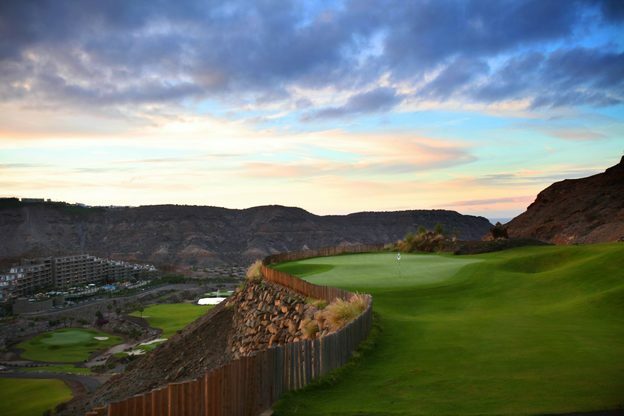 Dynamited out of Gran Canaria‘s black volcanic rock, this hedonistic and sometimes simply sadistic Par 72 course is a golfing Beauty and the Beast. Three billion cubic tonnes of soil were carted in to deliver billiard-table-smooth-emerald-green-fairways where once there had been arid barren rock. This €85m course, mentally add on inflation as that’s a 2006 figure, is a golfer’s trial by desert and by water. By fire too on a baking summer’s day. 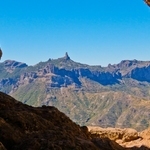 Rarely in the temperate Canaries is rain a problem. Out at sea in the 1980s, Bjorn Ling, a Norwegian entrepreneur, glanced inland and saw a natural amphitheatre. 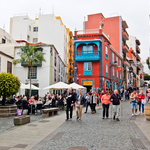 Abbreviated to the Italian Anfi, it became the chic resort of Anfi del Mar, an hour’s journey from the airport, travelling along a costa del plastico of tomato greenhouses. 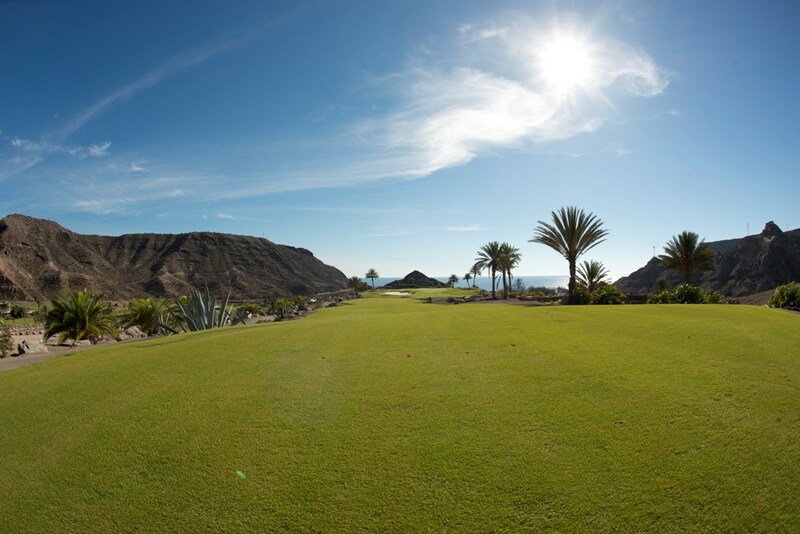 Ling joined forces with Robert Von Hagge and partners to create a fusion of Arizona desert and Canarian flora that received immediate recognition with the award of the Spanish PGA in 2008. 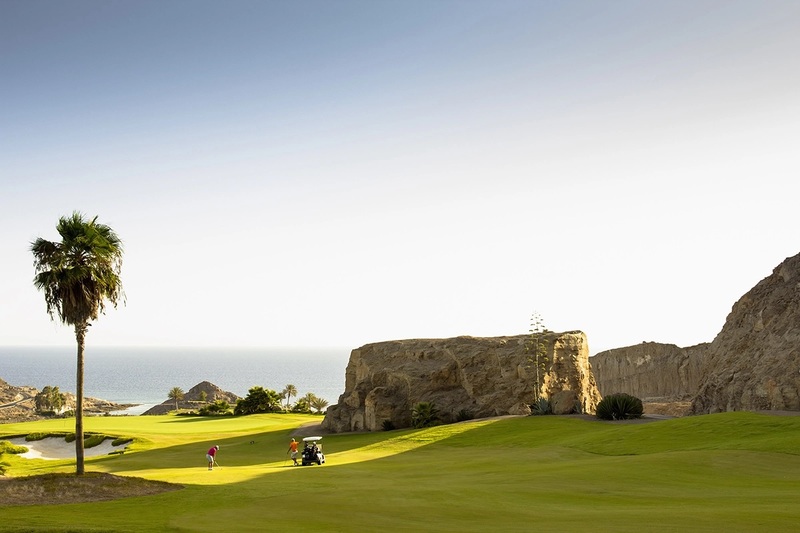 Instantly the course soared into most lists of Spain and the Canaries Top 40 courses. It’s a course that plays mind games even as you arrive. A long drive to the club house sweeps past some testing holes: more water features than the Chelsea Flower Show. This is no place for hydrophobics nor xerophobics – those with a fear of deserts – though on some holes it might as well be “zero phobia”. A fear of a Stableford score of zero. Trees? Bunkers? Rocks? Water features? Saharan bunkers? These are merely ephemera according to Von Hagge’s design play-book. Light is the one true eternal element of a golf course. Von Hagge was golf’s answer to the way artist Turner played with light and shade. Turner merely painted the landscape. Van Hagge and his partners Mike Smelek and Rick Barolo have dramatically reinvented it. They took rough out of the equation too: shale may be more aesthetic but it is just as tough as rough to hack out of. Standing on the 6th tee, hitting into a blast of Atlantic wind that on some days would merit a shipping forecast mention, you sense that Van Hagge and partners knew how to factor in Nature’s other elements too. In a sea of indecision on this tricky Par 3 with ocean views, as the winds gusted and faded, I took three clubs out of my bag. Then selected a fourth. Divine intervention is built in too. Horrendously slicing a booming drive into the rock-face to the right my opponent laughed. The rocks had played pinball with my wayward drive, depositing the ball on the fairway – a mere 30 metres short of where it should have landed. Perhaps God is a golfer. Metres? Under-clubbing on the first two holes I remembered that Gran Canaria is distinctly Europe. The GPS Map on the buggy operated in metres. For the lunar ascents on the tougher back nine the buggy, which you pick up from the bowels of what looks like a Bond villain’s hideaway, seems more like an essential than a luxury. But forget your score if you can, forget the lost balls and enjoy the views of lakes, mountains and waterfalls. Van Hagge’s philosophy, and Tauro was one of the last courses to benefit from his aesthetic vision, was that there should not be an ugly vista on the course. 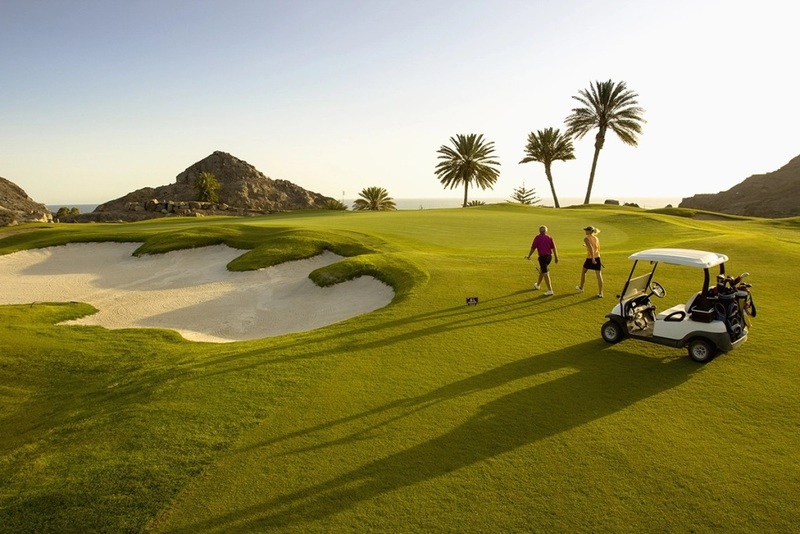 And that is why AnfiTauro deserves its tag line – “Best Golf in Gran Canaria”. Andy, very entertaining . In truth more entertaining than me having my way round Portugals courses proving that a seven iron can be just as sffective to deforestation than agent orange! I am putting together another travel series for a few local radio stations and would be delighted to provide trip reports on my travels FOC. John Sheridan, Travellers Checks.